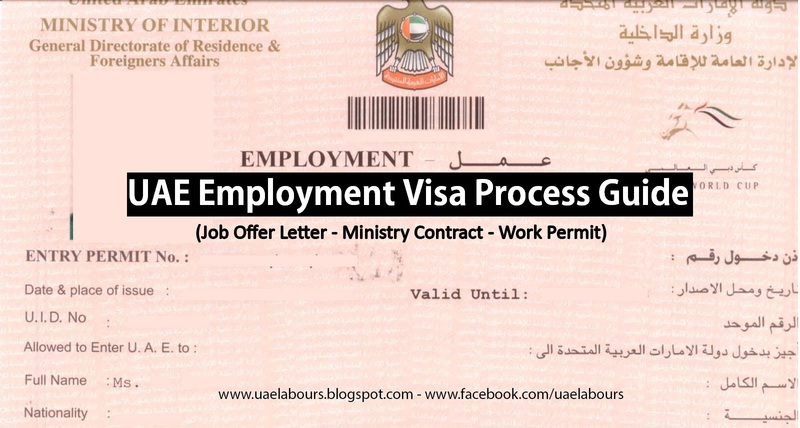 We are covering step by step guide about UAE Visa Process for employment purpose,read our full guide about the employment process from receiving a job offer till receiving of a work permit and visa stamping on passport in the UAE. 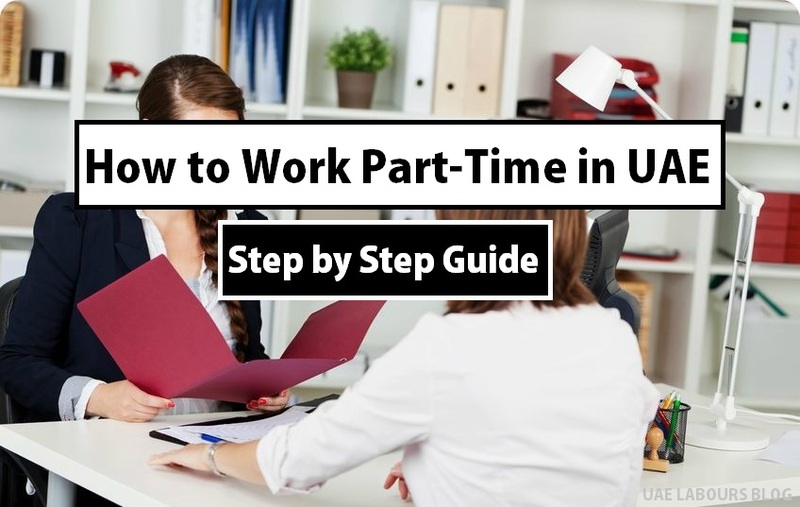 The employment process in the private sector involves receiving a formal job offer, it also known as Job offer Letter, signing the employment contract, receiving a work permit and a work visa. An offer Letter or Job offer Letter is a formal offer of employment from a company (sponsor). When a company (sponsor) makes a verbal job offer, the hiring manager or HR department of the company will typically call the selected applicant to let them know that they are being offered the job. The offer letter contains all important details of the job and an annex that summarizes the most important aspects of the UAE Labour Law. Please note that both parties must sign the Job offer letter, it will only become valid once it signed by both parties. As per UAE LABOUR LAW, an offer letter made to a foreign (expatriate) worker becomes legally binding after it is signed by both parties. An offer letter to a foreign worker signed by both parties becomes a legal contract. Hence, after signing, the employer (company) is not allowed to alter or replace any provisions of the offer letter unless such changes have the consent of both the employer (company) and the employee (worker), are within the scope of law and do not compromise the rights of the employee (worker). This is company (employer) responsibility to ensure that the employee (worker) has read the offer letter and understood it. If it is proved in court that a worker (employee) did not go through the details of offer letter before signing the ministry of labour contract, the employer (company) will be fined 20,000 AED for submitting incorrect data to Ministry of Human Resources and Emiratisation. If the employee (worker) is in the UAE, he must sign the offer letter before the employer can seek MOHRE preliminary approval for his employment process. Employers must disclose the terms of the offer letter to MOHRE. A copy of the offer letter is stored in the MOHRE database. Employees (workers) are issued work permits or visas based on signed offer letters by candidates or selected applicants. The employment contract also known as Ministry of Labour Contract is a document that need to be signed by both the employer (company) and the employee (worker) in which the latter undertakes to serve the company and works under company’s management against an agreed fee paid by the employer (company). As we have discussed above that the employment contract should be based on the offer letter signed by both parties (company and worker) and must be submitted to MOHRE within 14 days of the employee's (workers) arrival in the UAE based on the employment entry permit or from the date of status change (if you are in a status which allows you to transfer your visa; i.e. not having violated any law). In January 2016, Ministry approved and added more languages on the job offer and Labour contract. This applies to workers coming from outside or workers those residing in the UAE that are seeking a new job, changing sponsor or moving from one company to another. UAE Visa Process guide ended here, don't forget to share with others. i get an offer i just want to know how many days will take my visa process in abudabi. I need a direct employment visa from Nigeria for any labour work for unskilled , construction, sales, cashier, private teacher. I have bachelor of science in information technology from University of education, winneba, Ghana and a diploma in network engineering. I am ready for immediate employment and I am responsible and a married man. Hi my employment visa is on process now. But i ask my boss to cancel the application which is possible because i havent signed offer letter yet and no medical too.. They said i need to pay for the damages is it right for me to pay? Because i believe that when u cancel visa application which is not approved yet u will get refund.